Before the colder weather sets in be sure to visit some great destinations in and around Los Angeles and San Diego. Southern California has a lot to offer when it comes to outdoor activities. We are close to the ocean but also near the mountains. The options are plentiful. In the following you’ll find four different locations that we have enjoyed in the past and which are always worth a visit, but fall is just a perfect time to check them out. 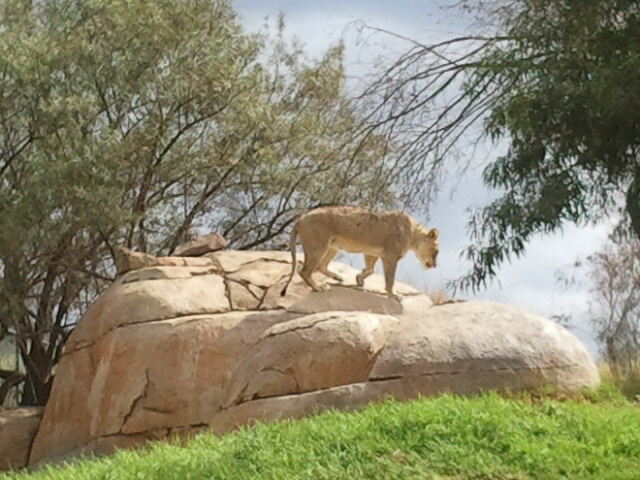 The Safari Park in San Diego is a must in October. Not only since San Diego county has its great “Kids FREE in October” promotion all month long, which lets you visit nearly 40 museums and great destinations like the San Diego Zoo, and also the Safari Park for a fraction of the usual price. But what’s really nice about visiting zoos in fall is, that you can actually see the animals! It happened so many times to us; we are in one of the great zoos around California in the summer and… all the animals are hiding from the scorching heat and from us. Frustrating! So this time we actually could witness antelopes run around the “plains” , a rhino taking a walk with its cute and playful little toddler rhino, watch some California bisons picking a fight amongst each other, see a lion lazily catching some of the rare sun rays that day, and have a laugh at the Gorilla encounter. In fact I have never seen any gorillas ever more engaged than these here at the Safari Park. There is so much more to see and for children and adults to explore than we can mention here. 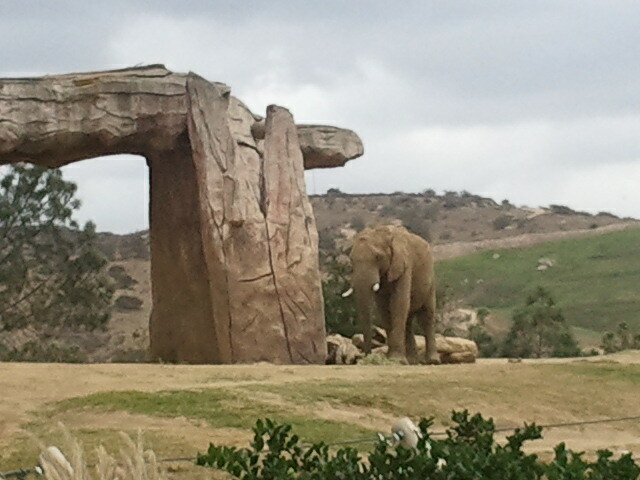 It’s definitely a great alternative to the famous San Diego Zoo. We have mentioned and dedicated a whole article to the newly re-done Natural History museum in L.A., which became one of our favorite museums. It means hours of great engaging education on wildlife that’s in our closest neighborhood and beyond. With Halloween coming up, the Spider Pavilion is an exhibit not to be missed. One that gets you into the eerie mood. Before you go into the actual exhibit where you can observe spiders in their natural habitat eating their prey and be eye-to-eye with them (watch out that you don’t run into a freshly constructed spiderweb! ), check out the various display cases outside with Tarantulas from different countries and other venomous spiders. Spider Pavilion is only open until November 3rd! On November 5 and 6, the museum celebrates its 100th anniversary and the opening of the L.A. Aqueduct with FREE admission and a new aqueduct-themed exhibition. If you want to make it a day in L.A. head over to the Griffith Observatory once you are finished with visiting the Natural History Museum. 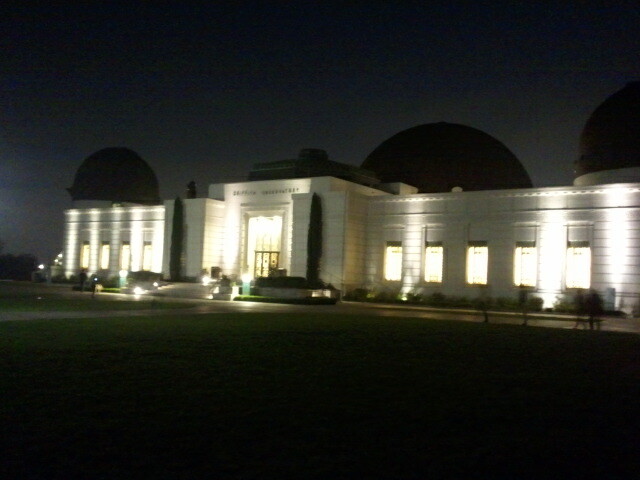 The observatory at Griffith Park is open until 10 pm and watching the sun set over Los Angeles from this location is phenomenal. Plan having dinner at “The Cafe at the End of the Universe” which is operated by Wolfgang Puck, and you can enjoy the sunset while sipping on a glass of wine! While the location itself is stunning, the exhibit inside the observatory is extraordinary, not to mention looking through one of the high-quality public telescopes. Once a month, the Los Angeles Astronomical Society and Sidewalk Astronomers hold a star party at the Observatory in which many more telescopes are available for public viewing. Find out more online. Fall is the best time to visit Julian, a quaint mountain town famous for its warm apple pies, apple cider, apple butter and anything else that’s made of apples. Nestled in the scenic Cuyamca Mountains, it is just one hour east of downtown San Diego. Julian found its beginning during the 1870‘s gold rush and is an official California Historical Landmark. It’s a charming little town that is home to many historic buildings, and is unique since you can experience the changes of the four seasons. Watch the changing colors of fall leaves and experience Christmassy snowfall in winter. Don’t miss the annual fall apple harvest that runs from mid-September to November when fresh apple pies and just-pressed cider await you.